power poles on your property. 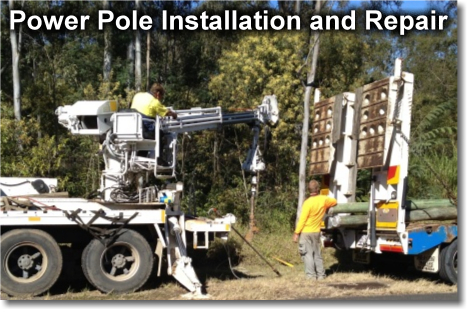 With many years experience, Power Pole Installations are qualified to offer expert advice and services on the installation, repair, service and replacement of your property poles. We also provide services in trenching, foundation boring and proline, bobcat and excavator hire. We work with all members of masters electricians and national electrical communications association. Servicing All Areas Including the Somerset, Lockyer, Ipswich and Scenic Rim Regions.